Home Blogs Did Real Madrid peak too soon? Did Real Madrid peak too soon? 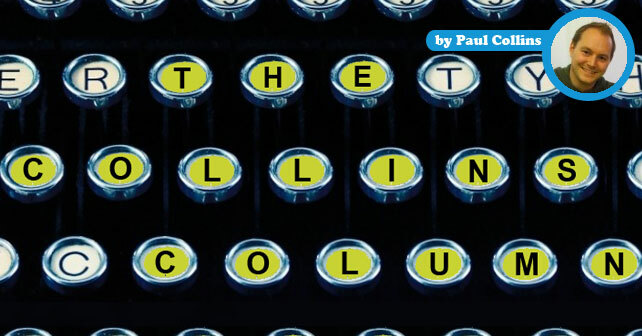 Wow, it’s been a while since I write a blog on this column. Apologies for that – I’ve been in the midst of a big move half way across the world and things have escaped me on the blog front. Don’t worry though. 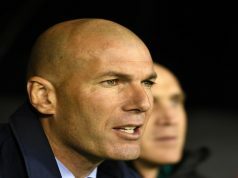 What’s been going on at Real Madrid hasn’t escaped me and having seen the humiliation at the weekend at the Vicente Calderon, I think the question needs to be asked – Did Madrid peak too soon? Last time I wrote in my column, Los Blancos were about to embark on a 22-game winning run in all competitions, setting a new club and Spanish record. There were plenty of highlights in there – but the best performances were probably the win at Anfield in the Champions League, and also the way they swatted aside Barcelona in La Liga. Picking up trophies is also fun, so it was enjoyable to watch Los Blancos win their fourth trophy of 2014 in December when they lifted the Club World Cup. Since the turn of the year though, Madrid’s form has been somewhat erratic. Just five wins in 10 games – with two defeats to Atletico thrown in there – in La Liga and in the Copa del Rey. They also started 2015 on a bad note by losing to Valencia at the Mestalla. When Madrid were on their glorious run in the autumn, it was always at the back of my mind – have they hit top form too soon? It’s an old cliche but a true one all the same – the football season is a marathon, not a sprint. And Madrid, to me anyway, seemed to be exerting a lot of energy early on when they could have held back more in reserve for the second half of the season. The Club World Cup took it’s toll – while they were in Morocco, rivals Atletico and Barcelona had their feet up for the winter break and were preparing for the second half of the campaign. Rather ludicrously, and entirely led by the sponsors’ demand to keep putting the stars in the limelight – Madrid then went on a mid-winter jolly to Dubai. Billed as a warm weather break, they played a friendly against AC Milan which they lost. That sort of long distance travel was totally uncalled for – why not allow the players a few days at home with their families? Los Blancos haven’t been helped on the injury front either. Ancelotti actually has a fairly small squad of outfield players, and he certainly has his favourites when it comes to picking the team. 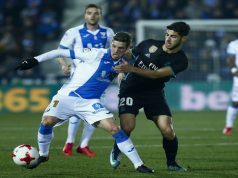 And Los Blancos have suffered all season with a host of injuries – perhaps exasperated by the fact many of them didn’t get a proper break in the summer following their World Cup adventures. Luka Modric has been on the sidelines for a while, but his replacement Sami Khedira has also been hampered by injury. Asier Illarramendi doesn’t seem to have the trust of Ancelotti, so James Rodriguez and Toni Kroos have been played to the point of exhaustion. And now the Colombian is set to miss the next two months with a broken toe. In defence, Pepe has been suffering his own fitness issues, while stalwart Sergio Ramos is now in the treatment room until March with a hamstring problem. All of these fitness problems have taken their toll and Madrid seem to be paying the price now. 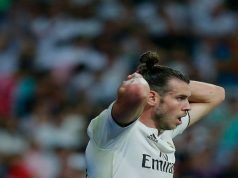 In addition, Gareth Bale has suffered a loss of form this campaign and with the fans starting to get on his back, he’s feeling the pressure perhaps. Ronaldo’s silly red card against Cordoba perhaps revealed his own frustrations with his own slight dip in form and the side’s overall downturn. The good news for Los Blancos is that they have their destiny in their own hands. Despite the defeat to Atletico, they remain top of the table. With three winnable games coming up, and players like Modric and Pepe expected back soon, now is the chance to find some form and confidence, and focus once again on the prizes – La Liga and the Champions League. Very clear analysis . However, in my opinion it’s not excusable the way Real Madrid play this season. Even with the long Winning run, there were a lot of weaknesses that no one was talking about. As you mentioned , during that winning period, there were only two matches that Real Madrid played and won convincebly. First leg against Liverpool and Barcelona . The high pressure and counter attack that were Real Madrid best weapons dissappeared. Real Madrid play the same game with every team. I remember writing one time that any team can beat Real Madrid. But some of them are afraid of taking their chances. Yes i can agree that the injuries can affect the productivity of the team. Again, i am forced to say that players like Khedira, Illaramandi, Arbiola don’t deserve to play. I think the team doesn’t play with the heart. The coaching needs to improve the mental level and tactical aspect of the team. Otherwise the thin advantage will vanish before we know it. The president should address the issue and put everyone face their responsibility with determination .